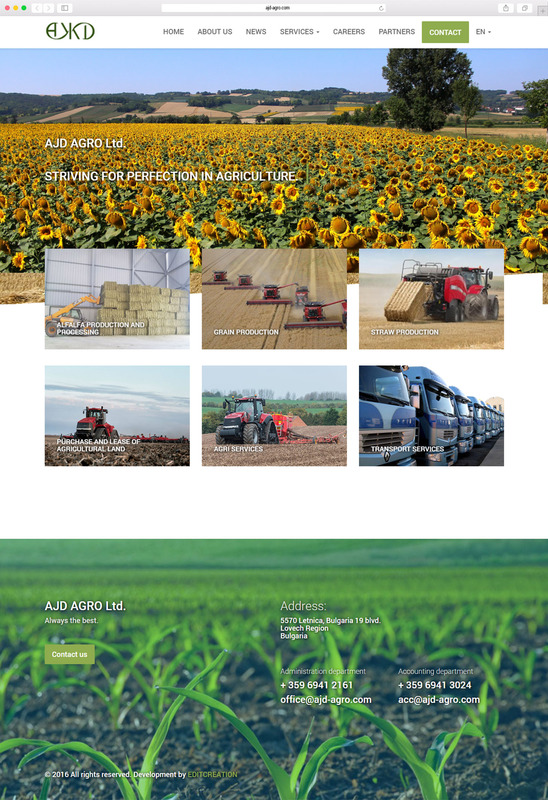 AJD – AGRO is a family company with more than 15 years of experience in the agricultural business and has more than 5 500 hectares land in 13 villages in Central Northern Bulgaria. The website of AJD has reached a point where it needed an overhaul. They reached us again with the task to redesign and rebuild their website. 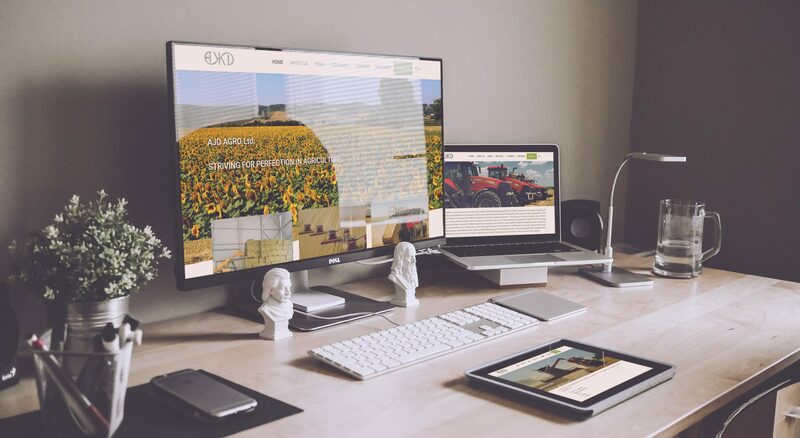 The goal was to update the site to a more modern and mobile friendly design and to provide the client with a administration panel to upload the latest news regarding the company. The previous website of the company was made 5 years ago by our company and it was time for a redesign. 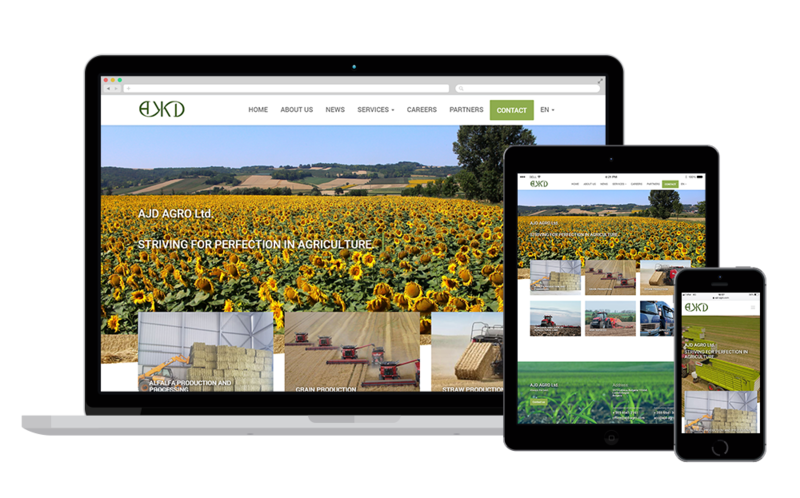 We decided to start fresh with main goal for the site to be responsive and mobile friendly. 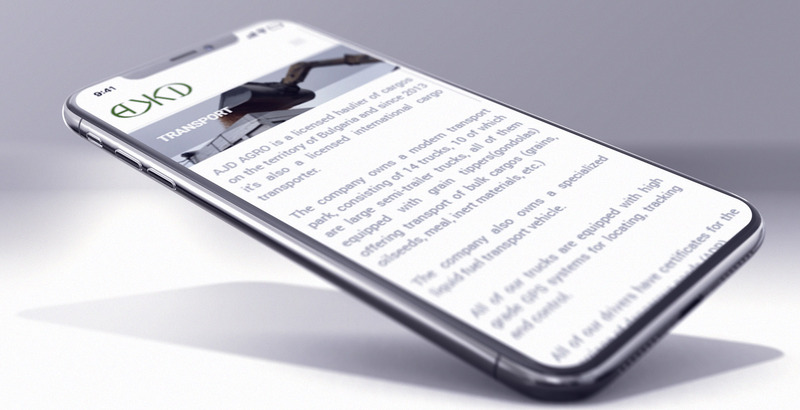 We have build the website on top of a very simple content management system written for the project, the client to be able to upload recent news regarding the company.